At Tuesdays board meeting, Chairman Jerry Zaro recalled that it was only two years ago that Gateway earned a medium-high rating during the start of President Donald Trump’s administration. Are NJ drivers looking at another gas tax hike? According to an analysis from the Officer of Legislative Services, New Jersey's gas tax could rise for the third time since 2016's major increase unless the state sees considerable growth in the amount that motorists are spending on fuel. The new law would allow school bus operators to display information that would permit the public to report a bus driver’s misconduct. Lyft announced Tuesday the debut of Lyft Driver Services, an economic initiative to help drivers, as 91 percent of Lyft drivers drive fewer than 20 hours per week, according to the company. 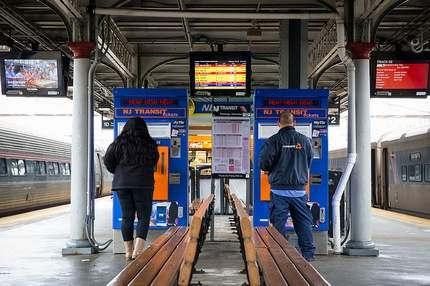 New Jersey Transit hosted a packed event with contractors, small businesses and disadvantaged business enterprises Monday, showcasing upcoming capital construction projects and opportunities to connect and do business with the agency. The record levels come at a time when the agency is actively engaged in upgrading its legacy transportation facilities under a $32 billion capital investment program. On Tuesday, Gov. Phil Murphy, New Jersey Transit Executive Director Kevin Corbett and New Jersey Transit Chief of Police Christopher Trucillo gave a tour of the center to journalists providing a behind-the-scenes tour demonstrating the center’s operations during an emergency or large-scale event, and how the improved, unified operational communications functions on a day-to-day basis. Gov. Phil Murphy signed into law Monday, legislation sponsored by Senate Republican Leader Tom Kean that establishes an autonomous vehicle task force. The federal government again gave a “medium-low” rating to a proposed trans-Hudson River tunnel and Portal Bridge replacement, a move which makes the project ineligible for the federal funding sought after by proponents of the projects.